Jean A. (Connolly) Roche 88, of Oak Ridge, passed away Friday, October 19, at NHC Fort Sanders. She was born May 22, 1930, in Woburn, MA., one of three children born to Ethel and Joseph Edward Connolly. Mrs. Roche graduated from the Bethel Israel School of Nursing. 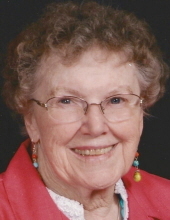 Her career included hospital care and private duty nursing, as well as medical office assistance. She was preceded in death by her husband, Thomas K. Roche, II, her parents, her brother John Connolly of Woburn, MA., and her daughter, Karen (Roche) Scruggs. Mrs. Roche is survived by her brother and five children, Susan Miller of Lexington, Ky., Joyce Williams of Belleville, Wis., Theresa Roche of Yakima, Wash., Mary Roche of Paoli, Pa., and Thomas K. Roche, III, of Powell, Tenn. She is also survived by nine grandchildren, Elizabeth Scruggs Cochran and Joseph Scruggs, both of Maryville, Tenn., Jessica Williams of Clinton, Mont., Zane Johnides-Wood of California, Kirsten Roche and Kristen Collins, both of Yakima, Wash., and Christopher Ebel of Nashville, Tenn., and Spencer Roche and Sean Roche, both of Oak Ridge, Tenn. and one great-grandchild, Ellie Sorenson of Yakima, Wash. A visitation will be held on Tuesday, October 23, 2018 from 9am – 10am at St. Mary’s Church, Oak Ridge, TN. A funeral Mass will begin at 10am with Father Shelton officiating. The burial will follow at Anderson Memorial Gardens. Weatherford Mortuary is handling the arrangements. An online guestbook can be signed at www.weatherfordmortuary.com. To send flowers or a remembrance gift to the family of Jean Ann Roche, please visit our Tribute Store. Burial to follow at Anderson Memorial Gardens in the Mt. Calvary Garden. "Email Address" would like to share the life celebration of Jean Ann Roche. Click on the "link" to go to share a favorite memory or leave a condolence message for the family.